Does Riddex work? | Does it Work? If you’re sick of sharing your home with unwanted guests, you’ll be interested to know about these modern ultrasonic pest repellent devices that became quite popular back in 2009. It does not release any chemicals in your home. It is a plastic device that you simply plug into an electric socket, and it is supposed to protect 2000 square feet of your home by creating a magnetic field. This means no more mice, cockroaches or ants in your house. The manufacturer of this product is a company called Global TV concepts, a.k.a Riddex Pulse. It has been in business for 20 years, and lists 1 employee on the Better Business Bureau website. It is based off Van Nuys CA and it advertises an “As seen on TV” repellent product. Their repelling product works by sending an electric signal through the wiring of your home. This signal is very annoying for pests, and they try to get away from it as far as possible. We’ve all heard that electromagnetic radiation affects rodents and bugs, so as an idea it should work. What are the most popular Riddex products? The company offers 3 popular products, Riddex Plus, Pulse and Quad. So what’s the difference you ask? One thing they have in common is, they all claim to repel pests. The Riddex Plus is their most basic and most popular design. The company offers you the option to get a second repellent for free, but you’ll have to pay for shipping. The Riddex Pulse has outlets on the side, to prevent losing plug space. It usually comes in a set of three. People seem to prefer the Plus model, as they claim it does a better job. The Quad option includes side outlets and a night light, other than that, all three are meant to do the same thing, repel household pests. So do electronic pest repellents really work? Judging by the week long research our team conducted, not everyone that used it is convinced. To save you time and money our team at Doesitwork spent hours researching this product. Read on and discover the good and the bad behind it. The makers of Riddex promise a safe and humane way to get rid of all your household pests. (Husband not included in this offer.) Joking aside, it sounds refreshing not having to deal with the pests at all. According to the makers, you simply plug it in, and it covers 200 square ft of your home. Does this product really work and will it help your home get rid of unwanted pests forever? We needed to know, so we researched every available source online, to help you understand the true value behind this product. Is it worth it? Let’s find out. The idea and first concept behind Riddex originates in Iowa, back in 1983. Two pig farmers were looking for a cost effective way to keep rodents away and came up with Riddex. The device is controlled by an integrated circuit that routes electricity back to the wires. This creates a 110 volt electromagnetic field. Why pests have a problem with electromagnetic fields? One way the field affects rats is by raising the hair on their back. This phenomena known as “Piloerection” which sends an instinctive signal that they’re in danger. Hopefully the rats will get the message and leave our home after that annoying hair-raising experience. Research in 1990 showed that rats avoid fields of intense electromagnetic radiation. They used power much higher than the Riddex, but even then the rats adapted after a while. Simply plug one rodent repelling aid in a central location in your home. This will cover 200 square ft. If you need 2, plug them at opposite ends of the floor. Also if you have multiple floors, take note this product will not work for all of them. You basically need one for each floor if you want to see results. Do not unplug it, EVER – is what the makers of this product recommend. They also claim it will be a minimal cost to keep it on. The light indicator should remain solid green. The red light blinks to show if the emission cycle of waves is on or off. The blue button controls the night light. Electromagnetic fields are still a new thing on the market, and not everyone has faith it will work. But, it definitely beats having to fumigate your home, or killing insects manually. Some people prefer to spill some toxic powder in the corners of their home. This often leaves such a nasty trail of thousands of dead bugs, and some of them end up stuck in your walls rotting for years. Gross! Companies have been trying to solve this problem by introducing electromagnetic signals that irritate the bugs and make them leave your home. Sounds great for the faint hearted who hate having to deal with bugs. With this ultrasonic technology you also avoid toxic fumes that can be dangerous for both pets and children. Just be careful, Riddex is not safe for hamsters and gerbils! WARNING: consumers online often mistake RIDDEX for another product called RID-X, a popular septic tank system treatment. On the Riddex website they claim it will cost you additional $17.90 for “processing and handling”, which ramps up the price to a TOTAL of $47.85, with some people reporting they paid up to $70 total. The Riddex Quad costs $33.70 on Amazon, and you get the option for free shipping if you purchase products over $35. There’s a definite hype online when it comes to Riddex. Some people rave about it, others claim it’s not as effective in certain cases. Our team at Doesitwork always goes in depth to provide you with the best possible info. This is why we looked at each and every pest, and how effective Riddex really is in every single case. Trust us on this one, we read hundreds of reviews in the past week. Roaches: If you have a roach infestation in your house, this might not be the most effective way to fight them. 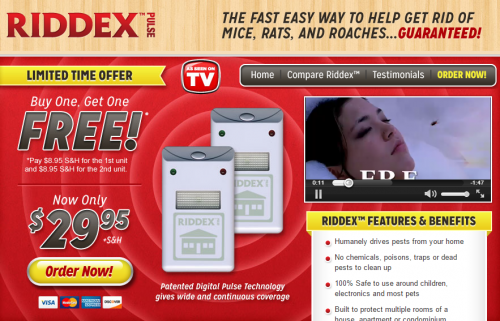 Not many people have had luck exterminating roaches with electromagnets, and some report having more after they’ve used Riddex. Others still say it works like a charm. Spiders: This product seems to be the most effective with spiders. People report empty nets in a matter of days. Most of the people that used Riddex on spiders seem to be happy with the results. So the conclusion is – it really works for spiders. Mice and rats: When it comes to getting rid of the rodents the rating of this product is somewhere in the middle. Half of the customers are happy and report chasing the rats away, others say it doesn’t bother them at all. So how do you get rid of mice? Maybe, the makers of this product need to further research and find a solution to this question. Ants: If you have a high ant infestation it is recommended to call a professional first, to deal with the issue, and then plug in your Riddex to make sure ants never return. Otherwise, just plug it in, and expect heightened pest dynamics in the first few days, as they leave your home never to return. Bed bugs: Nope, not going to work for bed bugs. It can actually cause a revers effect, drive them ou of the walls and into your bed. Pretty disturbing indeed. Our research shows that consumers also use Riddex to get rid of squirrels, scorpions, termites, silverfish, fleas, crickets, bats, lizards and the list goes on. The makers of this product haven’t conducted any further research to test these claims, but the admit they’ve heard of these uses over the years. How long does Riddex last? Expect this product to last for a very long time. People report using it for years and seeing great results. Is it safe for humans? This product is absolutely safe for humans as it doesn’t involve any toxic elements. It is also a humane way to get rid of your pest problem. You don’t kill anything, they simply go away. Is it safe for dogs? 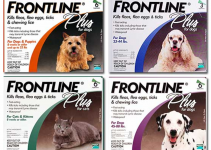 Yes it is safe for dogs, cats or any other animal, except for the rodent family including hamsters and gerbils. When it comes to Riddex it is hard to decide whether people love it or hate it. It all comes down to that, it either works for people or it doesn’t. There’s no middle ground. The issue our team had was not knowing all the factors that went behind users experiences. Did they install 2 for a larger area of their house? Maybe they expected it to work in the basement, even though they plugged it on the floor above? We know for sure it will not work that way. So these are things to have in mind if you’re going to use this product correctly. Whatever the case, the people that claim it works usually rave about it online. They say it’s a much preferable way than using sprays and toxic products. Some people have used it for as much as 8 years and love it. People claiming it doesn’t work usually say it didn’t help them get rid of pests at all. Some complain about the high price they paid after shipping was calculated. If they try addressing the problem over the phone they get very little out of the company’s customer service. There’s 5 closed complaints on BBB.org, go check them out if you wish. Many more on other review sites. Not having to deal with toxic products is such a relief, especially for people with allergies. The products lasts a long time. People report having it 5 or even 8 years in their apartment. The company has poor customer service. 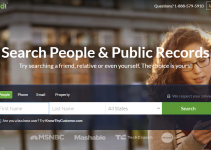 It has brought them a lot of negative points among customers. Doesn’t seem to work for everyone. Some people say they see mice chasing each other and playing in the living room like it’s no big deal. 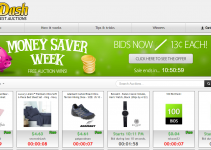 Misrepresented price is what gives people headaches when it comes to Riddex. They offer a $29.95 initial price that can ramp up to $70 on the way to your home. Then you’re left to the mercy of an unresponsive customer care team. If you’re looking for something fast and efficient it should be used as a secondary tool. First you need to call in the professionals, then use the Riddex. Our team at Doesitwork is all about human treatment of living beings, even mice. That being said, we really embraced the idea of chasing pests away with electromagnet fields, while not harming animals and humans in your home. Unfortunately Riddex doesn’t work for everyone. We have to admit it, we got carried away by the hype surrounding this product, and lots of people love it and swear it works. On the other hand, a lot of them state they weren’t happy with the product at all. So will it work for you? There’s only one way to find out – get it and try it. Afterwards you can share your experience with us, in the comment section down below.